MILAN is a city which pleasant in Italy. Various interesting tourist attractions and many historic buildings standing and waiting for your visit. Wherever your destination, Milan will always offer the beauty of his city. 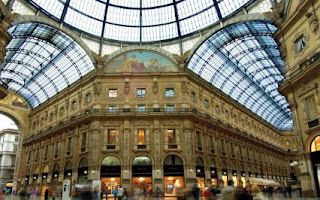 In addition to shopping, many places in Milan which also presents a fun and exciting experience. 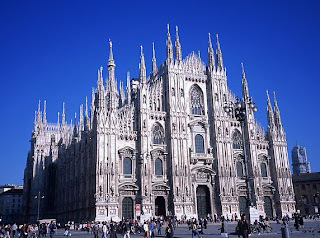 Milan Cathedral is the largest Gothic cathedral in the world and become the most popular tourist attractions in Milan. Construction began in 1386 but its completion took almost 500 years. This cathedral has 135 towers and 3,200 statues that adorn the roof of the cathedral. You can use an elevator or climb the stairs to take a closer look of the roof and a great view the city below. Piazza del Duomo, the square where the cathedral is the center of the historic center of Milan. In this square there is also a statue of Vittorio Emanuele and housing Palazzo Reale, the Duomo Museum and the Museum of Contemporary Art. 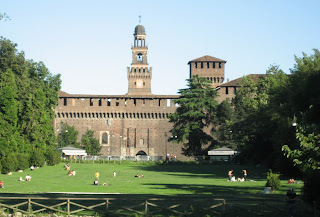 The castle is located near the center of Milan Milan and unlike many other castles, you do not have to climb the hill to reach this place. 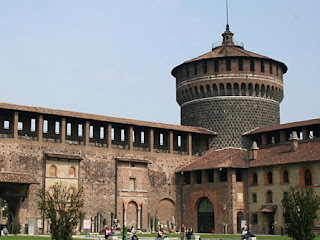 Inside the castle you can see the palace artifacts and architectural details art of Michelangelo's last sculpture. There was also a museum of ancient art, a collection of musical instruments, parts of Egypt and prehistoric archaeological museum. Gallery Vittorio Emanuele II was built in 1867. This place has huge glass roof and the inside lined elegant shops, bars and restaurants. Inside this place there is also a mosaic with the symbol of the new cities of the united Italy. This gallery built in the shape and cross-link the square of the Duomo and La Scala. This gallery's name comes from the name of the first king of Italy. 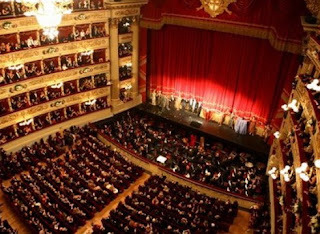 This gallery connects two of Milan's most famous landmark is the Duomo and the Teatro Alla Scala. Convent chruch and 15th-century Santa Maria della Grazie is home to the famous painting of Leonardo Da Vinci, the Last Supper. Although the building was bombed in World War II in 1943 but the painting was still alive. To see the painting of the Last Supper you have to pass through the entrance on the left of the church in the Piazza Santa Maria delle Grazie. This place is open from Tuesday-Sunday from 8:00 to 19:30 pm local time. 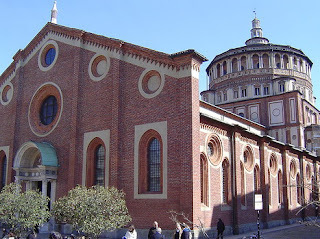 Basilica of Sant 'Ambrogio is one of the oldest churches in Milan. The church was built in 379-386. 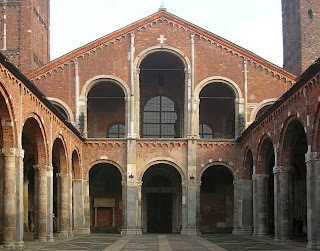 Sant 'Ambrogio is the patron saint of Milan and you can see it in a basement along with two third-century martyr. This church is an excellent example of Roman architecture and in it there are relics, carvings, mosaics and make sure you also look at the golden altar. 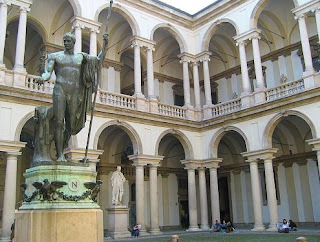 Brera Picture Gallery is an art museum collections from Milan with 600-14th century to century until the 20th century including works by artists such as Raphael, Piero della Francesca and Bellini. A variety of interesting work can be seen in 38 exhibition halls. When you get bored in a museum or shopping activities are satisfied, you can relax or take a walk in the park Parco Sempione, between the fort and the Porta Sempione and Giardini Pubblici or public park, outside the historic center of the Corso Venezia where you will also find the Museum of History nature. In this vast park, you can perform various activities, nelihat people having fun, or just sit back on the green grass under a leafy tree. Those are some information about interesting tourist attractions in Milan. Hope It can help you to plan your vacation in Milan.